Create does not mean "create"
So says professor Ellen van Wolden, in regards to Genesis 1:1-"In the beginning God created the heaven and the earth." She says it means "spatially separate." That's funny. Why didn't they then use the word "bara" for separate in Genesis 1:4, when G-d separated the light from the darkness? Or in Genesis 1:6 when He separated the waters from the water? Her grasp of linguistics shows she could work on Wall Street for the bears. She could then tell us that the market rally isn't real! So God "spatially separated" great whales, spatially separated the earth in six days, spatially separated the stars, the moon, the heavens and the host of them, and man, and beasts and cattle and birds and creeping things, and that he is not known now as the Creator, but as the "spatially separator!" 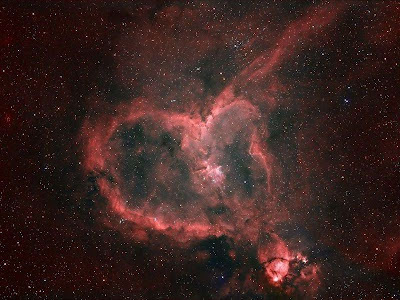 Heck he even spatially separated the heart in the constellation Cassiopeia! Oh wait I forgot. That's only for artificial hearts! Maybe she forget to read Genesis 2:2. She needs to rest on the seventh day!